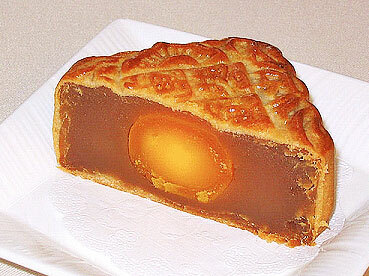 ~coz the memoirs is ours to share~: MoonCake Festival.!! also called the Lantern Fest or Hungry Ghost Festival falls on September 22nd this year. What is the Moon festival? Every year on the 15th of the 8 month of the lunar calendar, when the moon is at its maximum brightness for the entire year, the Chinese celebrate "zhong qiu jie." Children are told the story of the moon fairy living in a crystal palace, who comes out to dance on the moon's shadowed surface. The legend surrounding the "lady living in the moon" dates back to ancient times, to a day when ten suns appeared at once in the sky. The Emperor ordered a famous archer to shoot down the nine extra suns. Once the task was accomplished, Goddess of Western Heaven rewarded the archer with a pill that would make him immortal. However, his wife found the pill, took it, and was banished to the moon as a result. Legend says that her beauty is greatest on the day of the Moon festival. feasting and moon gazing. Not to mention mooncakes & lanterns..
queue to the delicious varieties of dishes..
in Chiness & Malay resepies! !